John Kasich and his inner circle are actively weighing in on the possibility that President Donald Trump may not seek reelection come 2020. After losing the Republican Presidential nomination to Trump during a bitter and highly contested primary season, Kasich seems to be gearing up for a potential round two. Republicans familiar with Kasich’s political operation have already confirmed that the out-going governor of Ohio has been surveying possible donors, a necessary pretense before announcing a possible revival of his candidacy come the next presidential election. Kasich has also been trying to cultivate a greater public presence by signing up for a wide range of upcoming events that are likely to put him in intimate venues with potential voters. Kasich’s latest moves all look like an attempt to foster the right amount of exposure and planning needed for the launch of a presidential campaign. Kasich, who has since the election aligned himself with Republican senators John McCain and Jeff Flake (R-Ariz.) has called for a return of bipartisanship and respect, values he believes are important for whoever sits in the White House. 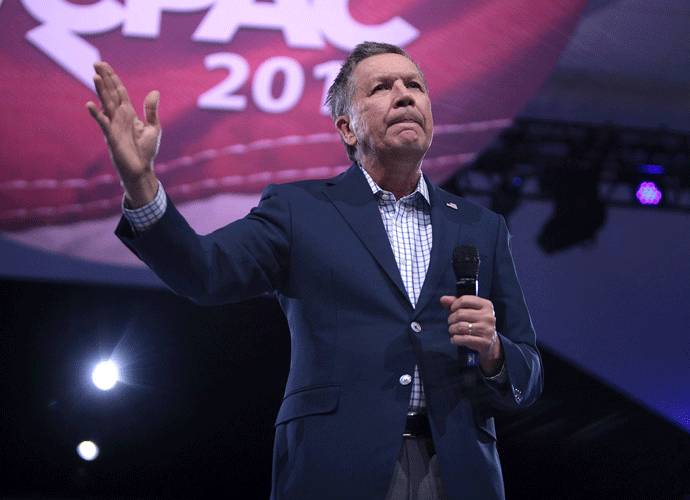 “I will not take the low road to the highest office in the land,” Kasich has said.